"The EU has been very clear there are no more negotiations, clarifications or meetings. 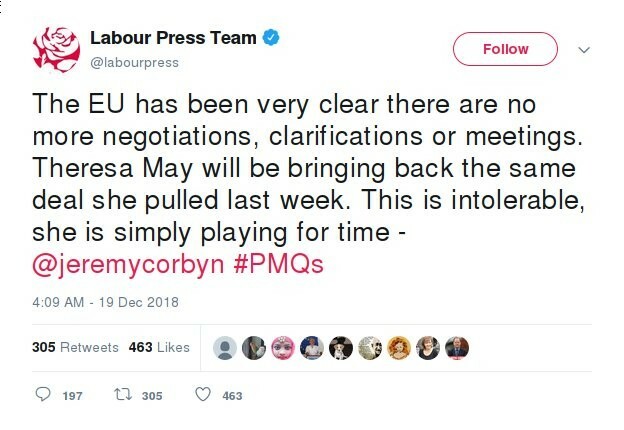 Theresa May will be bringing back the same deal she pulled last week. This is intolerable, she is simply playing for time"